What makes a great massage therapist business card? Balancing the elements of design with function is one of the most important aspects to creating any great business card. This article will explain some great examples of business cards geared toward the massage therapist. If you want a great base card to start off with, why not check out this Customizable Business Card for Massage Therapists? It includes a simple, stylized drawing of a person laying down for a massage, that is easily customizable with Photoshop to fit any color scheme or design you may want. A lot of careers have specific imagery associated with them. Firemen have fire hydrants and dalmatians, chefs have toques and cooking utensils. These items would make great imagery for a logo on a business card. But what about other careers, what would be on their business cards? 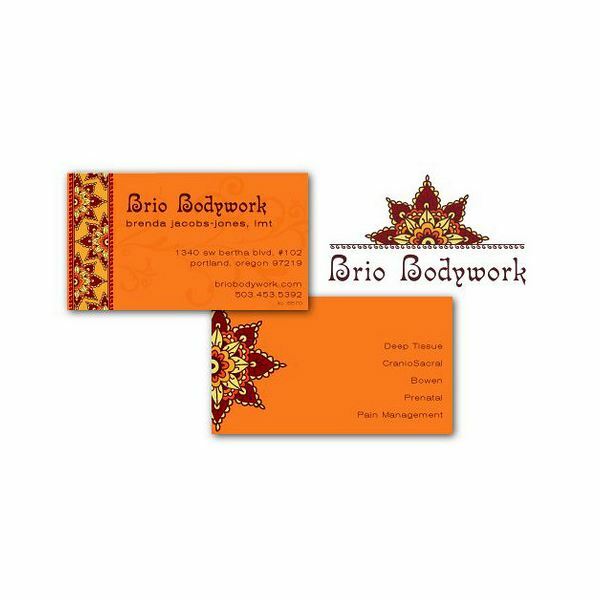 Example: Massage therapist business cards. What would go there? Massage therapists are often associated with the human form, more specifically hands and feet. In addition to the human body, they are often represented by warm earthy colors and even occasionally the tropical scene or two. After all, doesn't getting a massage feel like going on a vacation? The example to the right shows how using your existing logo for your business card helps create a sense of consistency between the various parts of your business, and even saves you time and effort on designing. The image to the left showcases a great example of using an image to relate to your card. Here you can see a woman getting a head massage, something incredibly common to receive from a massage therapist. This could be used for the front of a business card if you plan on printing the rest of your information on the back. This trading or baseball style business card is becoming increasingly popular and may help to get you noticed a bit more. After all, look how much it stands out from the average plain white business card. Please note, the more ink that you use when printing your business card, the more expensive your card will be to print. If you're looking for a more simplistic design, you still have many options. 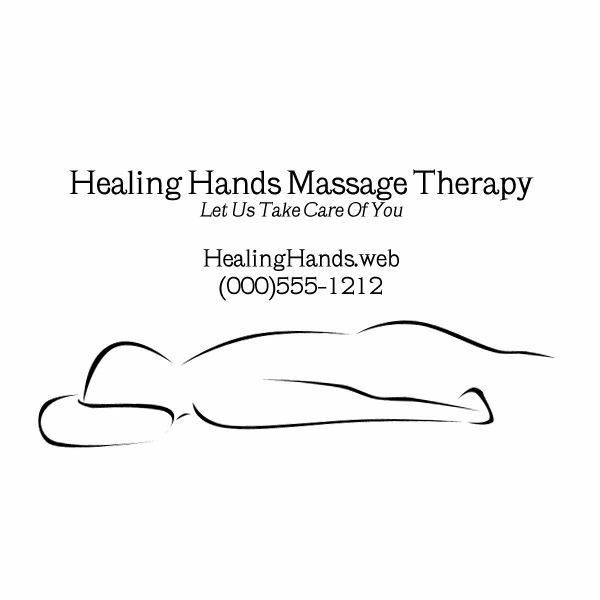 The business card to the left is a very simple card that still manages to incorporate hands, one of the most prominent images related to massage therapy. It manages to be simple, elegant, and give off a very professional feel. This is a great option for individuals who work freelance and are looking for a way to get their name out there, but save money by printing less elaborate business cards. As stated earlier in the article, the use of warm earth tones is a commonplace in design for massage therapist business cards. This is because warm earth tones are commonly associated with relaxation, one of the selling points of massage therapy. The card below utilizes a set of warm earth tones that look great when representing the massage therapist's business. References: Author's personal experience in design.